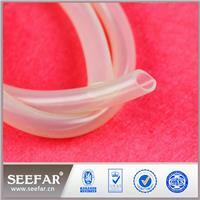 Silicone Rubber Tube Molding Besides manufacturing o-rings, rubber gaskets. 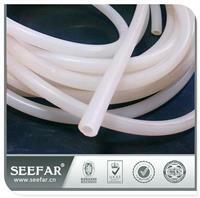 Seefar Manufacturing can mold silicone and fluorosilicone rubber in various shapes and sizes to meet your specific need. Besides manufacturing o-rings, rubber gaskets, rubber grommets and rubber seals, Seefar Manufacturing can mold silicone and fluorosilicone rubber in various shapes and sizes to meet your specific need. 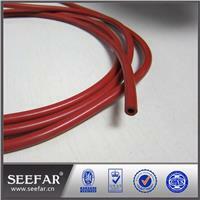 Besides manufacturing o-rings, rubber gaskets, rubber grommets and rubber seals, Seefar Manufacturing can mold silicone and fluorosilicone rubber in various shapes and sizes to meet your specific needs. Seefar Manufacturing has expertise in working with numerous rubber compounds for the manufacture of rubber gaskets, o-rings, rubber grommets, seals and other custom products. Chengdu Senfa Rubber Plastics Co. Ltd., established in 1995, has been always committed to providing customers with innovative solutions of high performance sealing plastics, which is a collection of manufacturing, researching and developing, selling for the integration of high-tech enterprises, with special rubber products prompt response terrace. At the beginning of the sealing material industry, we get involved with high standard to produce rubber sealing plastics such as workshop planning, personnel, equipment, marketing and so on, that have differences from traditional rubber, plastic manufacturers, and set up a high-performance sealing materials research and develop platform. We carefully select and use the high-performance sealing plastics, which are world famous enterprises produced and highly evaluated, integrating with particular formula our company independently self-developed, for instance, thermostability, low temperature resistance, anti-corrosion, high pressure resistance, abrasion resistance, etc. to meet the consumers’ demands.